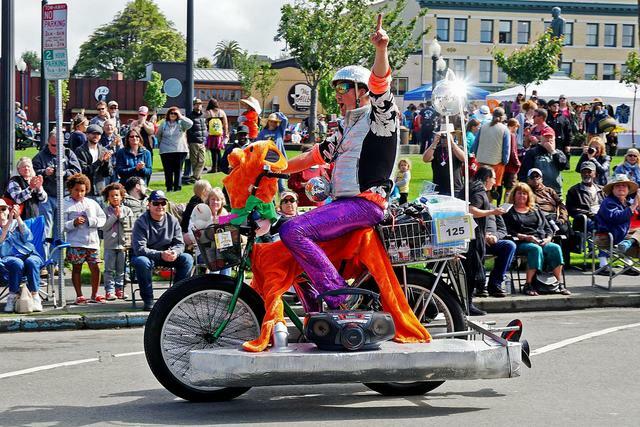 Blend Burning Man and Nascar and you might get something like the art sculpture race held every Memorial Day weekend in Humboldt County. 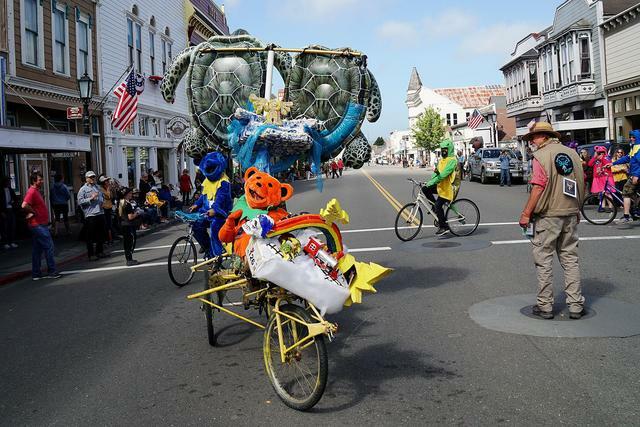 Known as the “triathlon of the art world,” the annual Kinetic Grand Championship challenges teams to race human-powered works of art across three days and 50 miles of sand, mud, pavement, and water. 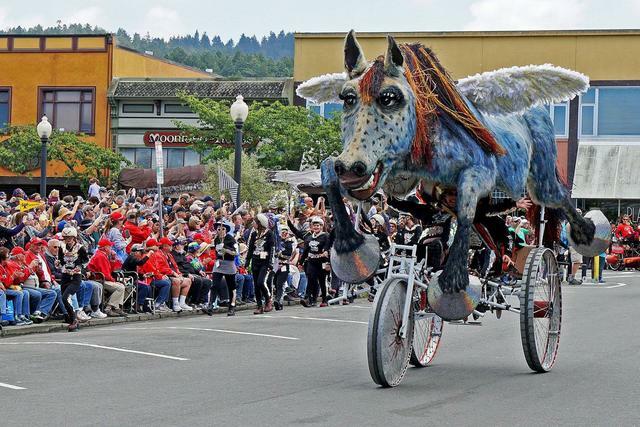 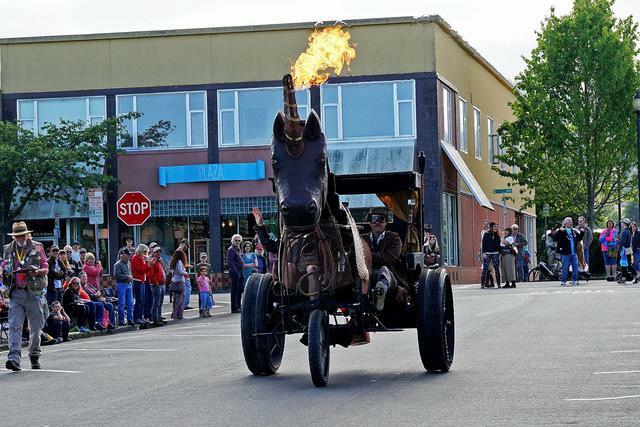 The race originated in 1969, when a sculptor in Ferndale, Hobart Brown, welded additional wheels to his son’s tricycle and was promptly challenged to a race by a fellow artist. 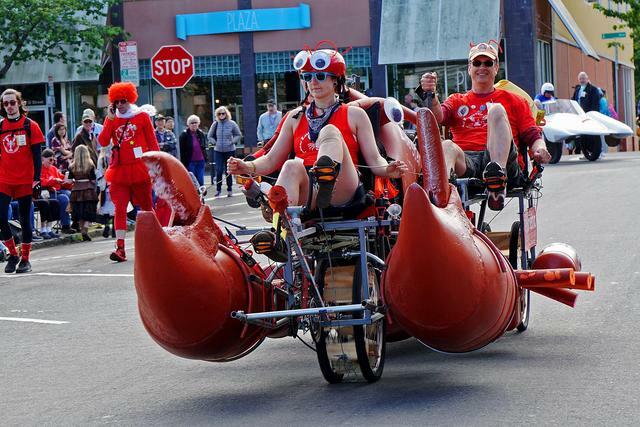 It became a tradition and has since spawned copycat races in Ventura; Port Townsend, Wash.; Baltimore, Md. 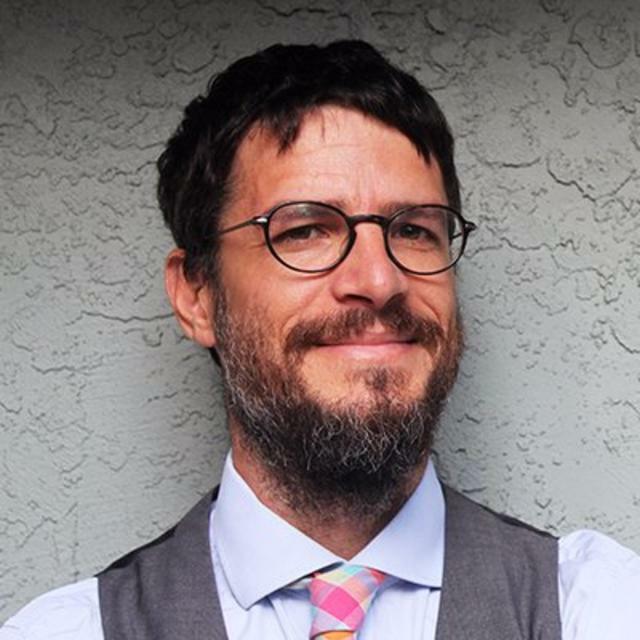 ; and as far afield as Perth, Australia. 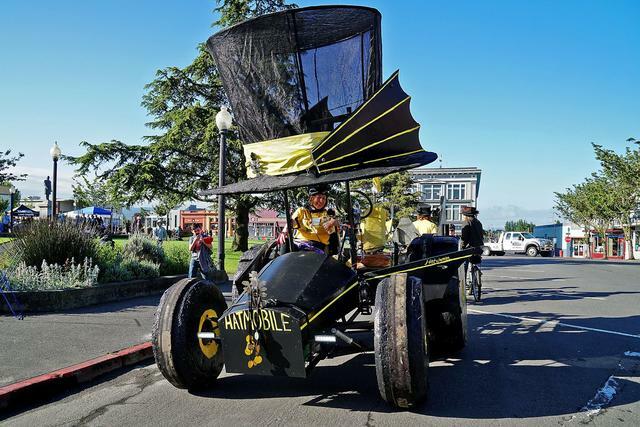 For the 2018 race, which concluded on Monday, about 60 teams zigzagged along a grueling course from Arcata to Ferndale. 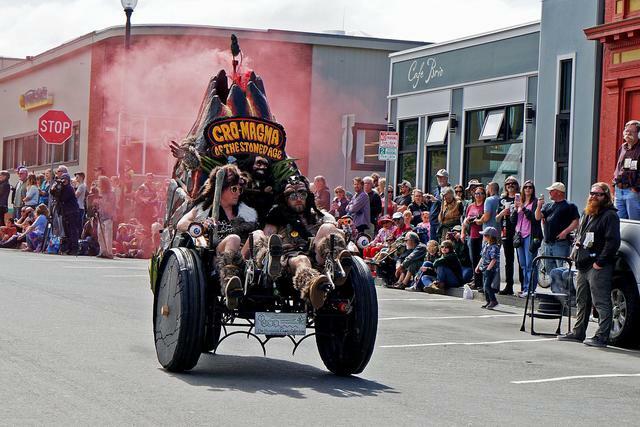 Among the competitors were a giant red lobster, Fred Flintstone on banana flotation devices, and a Mad Max-style jeep with a Venus Fly Trap rising out of the hood. 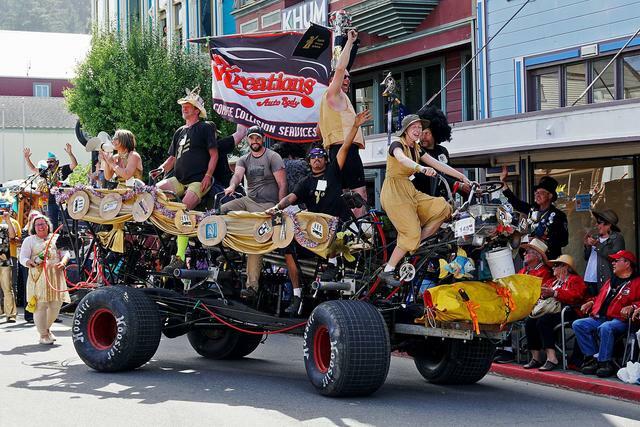 Video from the 2018 Kinetic Grand Championship in Humboldt County. 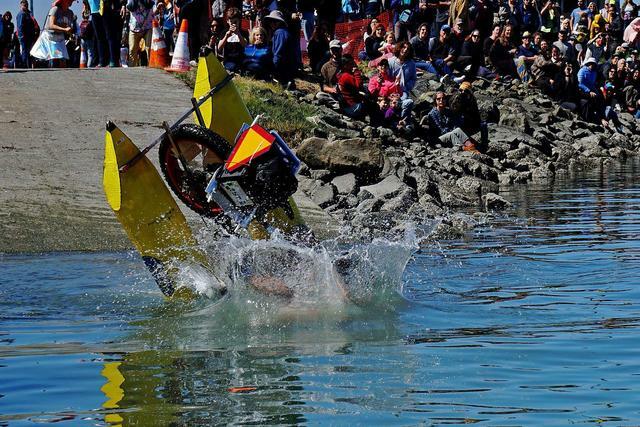 Prizes were awarded in categories including biggest splash, best bribe, and mediocrity (for the team that finishes in the middle of the pack). 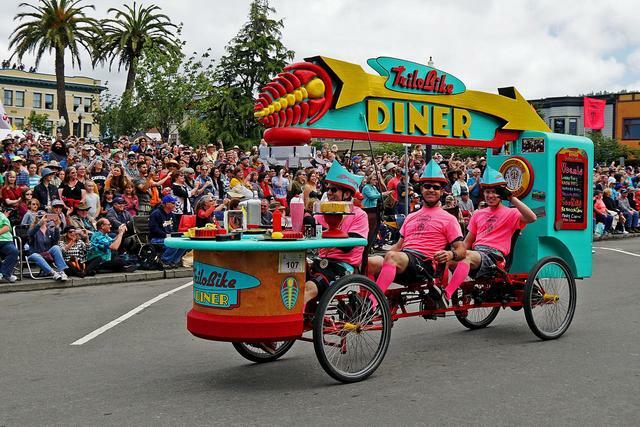 The grand prize — judged on a combination art, speed, pageantry, and engineering — went to TriloBike Diner, a kitchen on wheels complete with a refrigerator and jukebox controller. 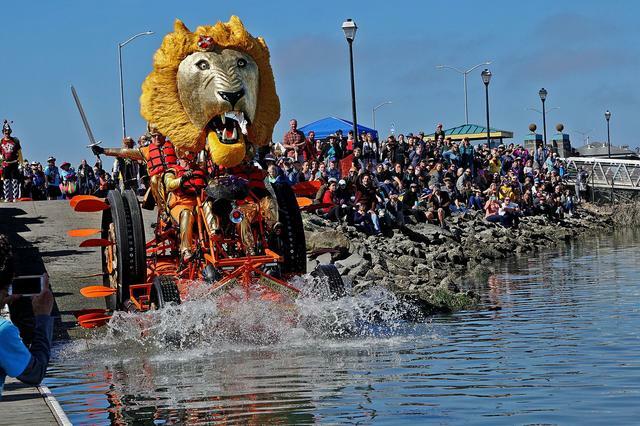 Steve McHaney, the team’s captain, is a professional engineer who estimates that he’s spent thousands of hours over the years perfecting his sculptures. 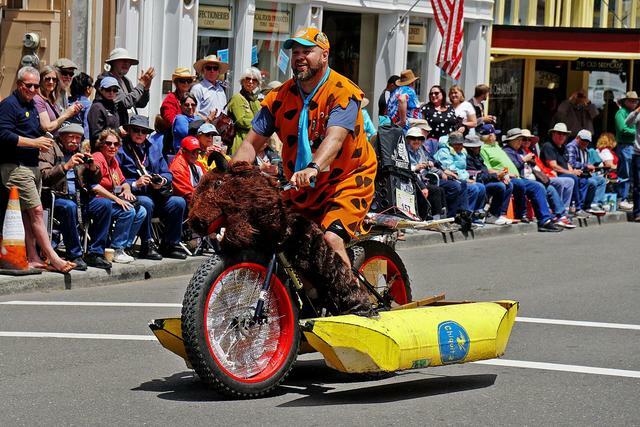 The camaraderie of the race is wonderful, he said, but he’s also in it to win. 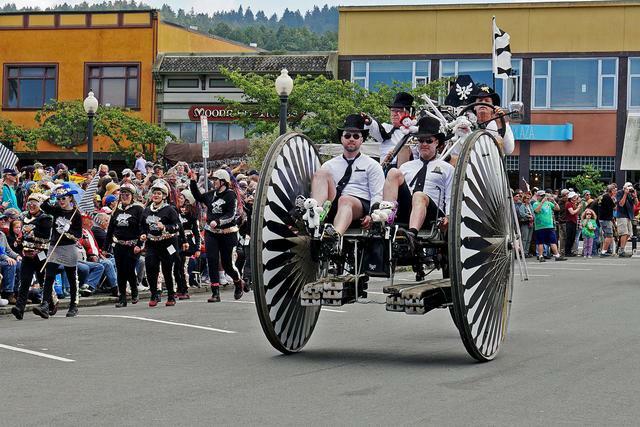 Below is a gallery of photos from the 2018 Kinetic Grand Championship by Matt Filar, a photographer based in Arcata. 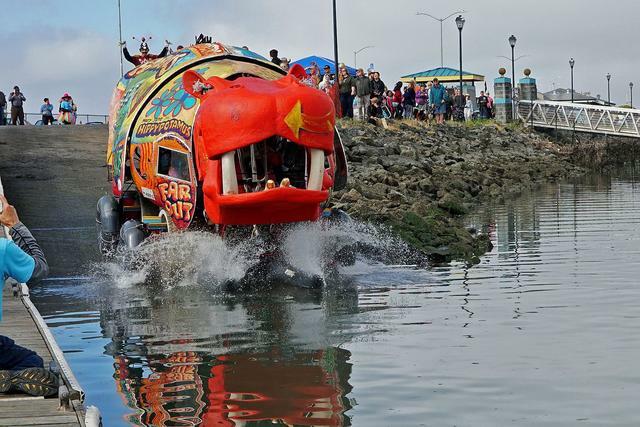 “Yabba-Doo-Ya” with an inelegant entry into the bay.